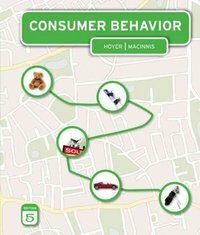 Consumer Behavior 5 Edition Ideal for marketing, psychology, or social sciences courses at the undergraduate or graduate level, CONSUMER BEHAVIOR combines a strong foundation in key concepts with a highly practical focus on real-world applications for today's business environment. The new edition of this popular, pioneering text incorporates the latest cutting-edge research and current business practices, including extensive coverage of emotion in consumer decision making. In addition, the Fifth Edition includes an increased emphasis on public policy and ethical issues--both extremely timely topics in today's corporate climate. With even more real-world examples and application exercises, including new cases at the end of each chapter, CONSUMER BEHAVIOR provides a thorough, yet engaging and enjoyable guide to this essential subject, enabling students and professionals alike to master the skills they need to succeed.